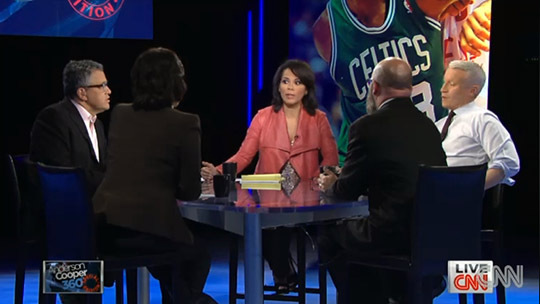 The panel format has been tried before, and this week it’s back. 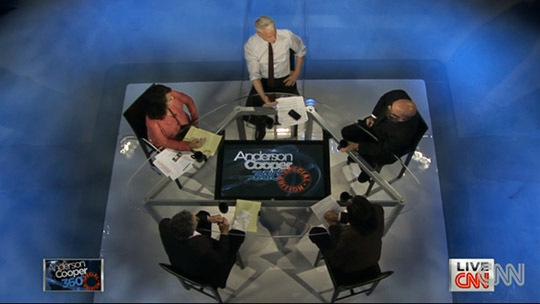 Dubbed the “Anderson Cooper 360 Special Edition,” the show has Cooper and 4 others around a new glass table with a monitor inlay. 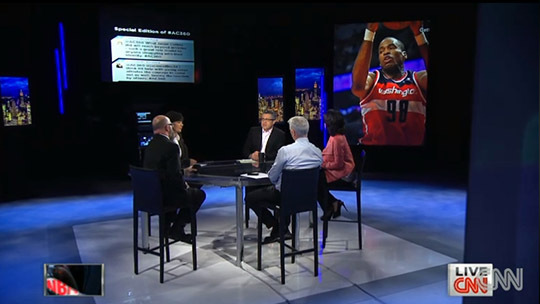 The sparse set was likely quickly setup using one of CNN’s idle studios in New York City. 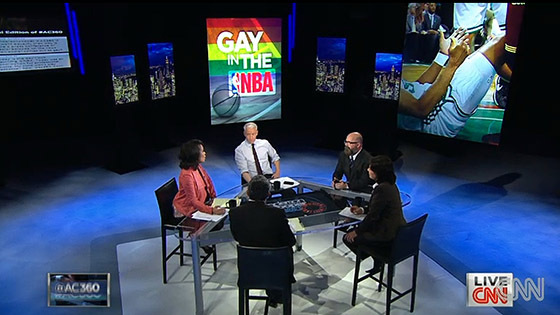 The main set features are the desk, a social media feed, a few large monitors, some cityscapes and some LED backlit strips.